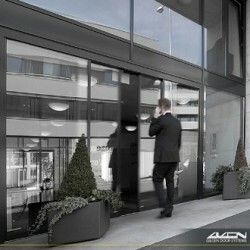 Besam Transparent sliding door system provides an elegant entry with a virtually uninterrupted glass surface. 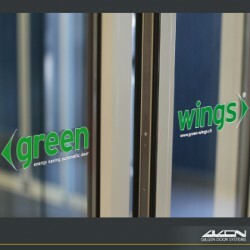 This is achieved by way of clear anodized aluminium rail along the top of each door leaf. 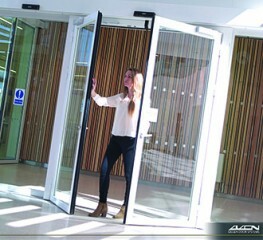 The impressive Besam Transparent is ideally suited to internal applications, particularly in office complexes. 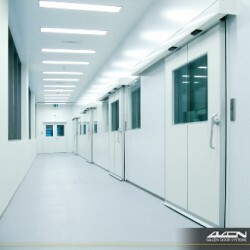 The door system is supplied for wall mounting and includes doors, operator, safety units and toughened glass as standard. 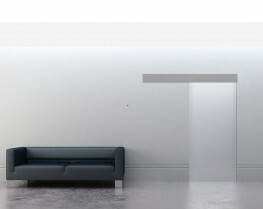 It is available as bi-parting and single sliding with or without fixed side screens, and all models can be tailored to different customer requirements.